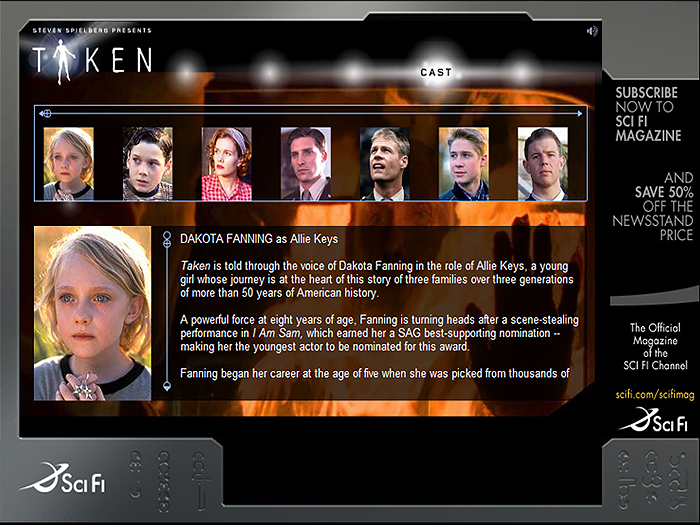 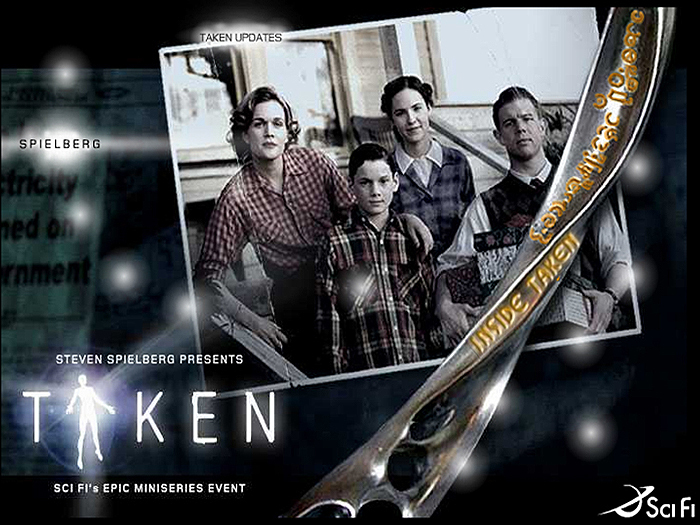 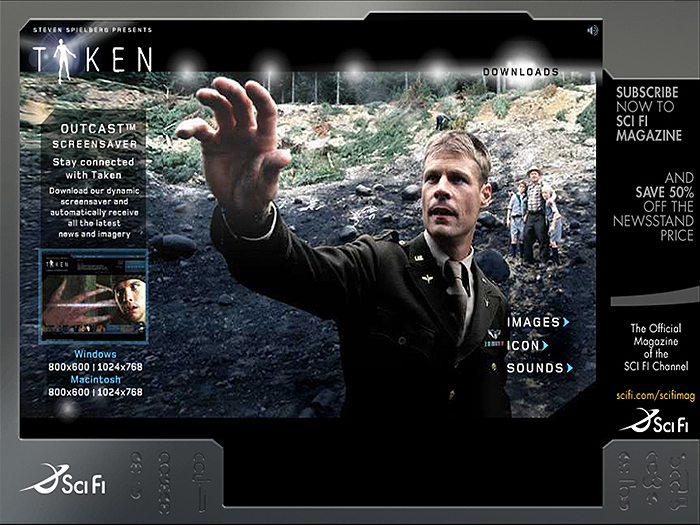 The site needed to be very interactive and drive the viewers toward watching the TV miniseries. 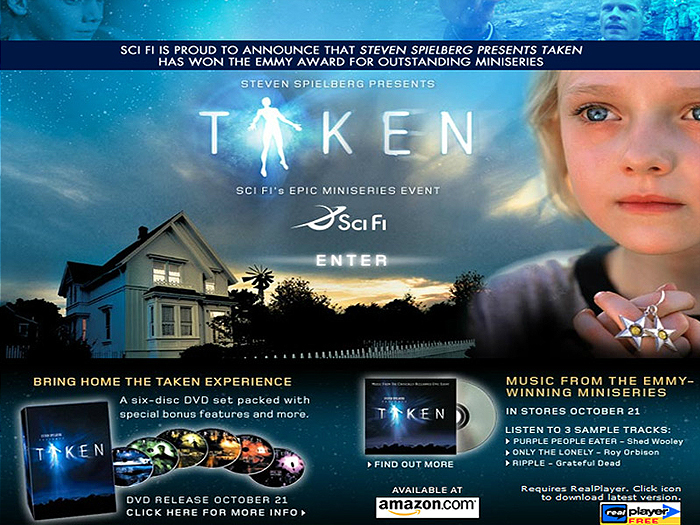 The site allowed the viewer to get taken into the site as if they were being abducted into the content. 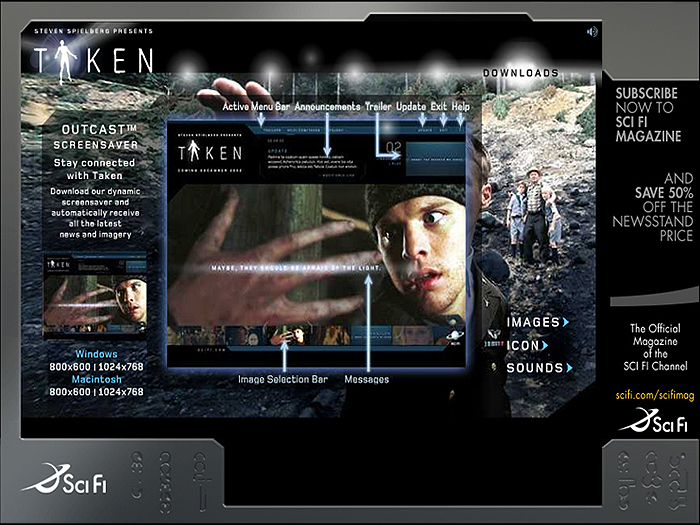 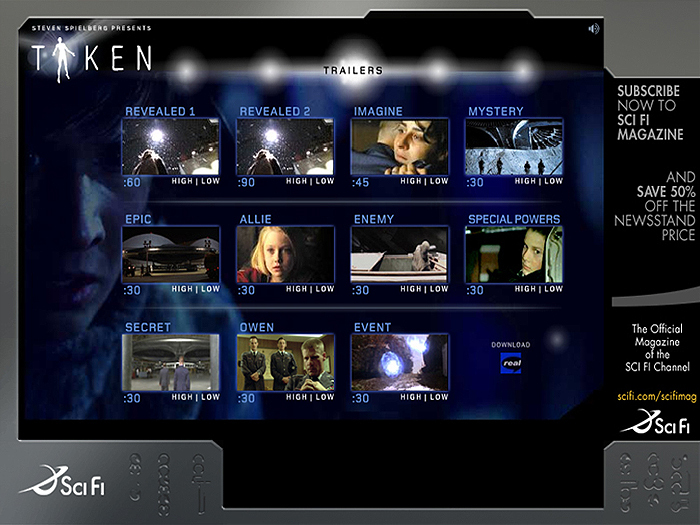 The site also provides a cool interactive screensaver that can be used as a portal site on the user’s computer.